FREE Printable Holiday Ornaments And Activity Sheet! You are here: Home / Great Deals / Christmas Deals / FREE Printable Holiday Ornaments And Activity Sheet! Here are a couple fun, FREE activities you can do with the kids in preparation of Christmas and the premiere of a new movie next year! 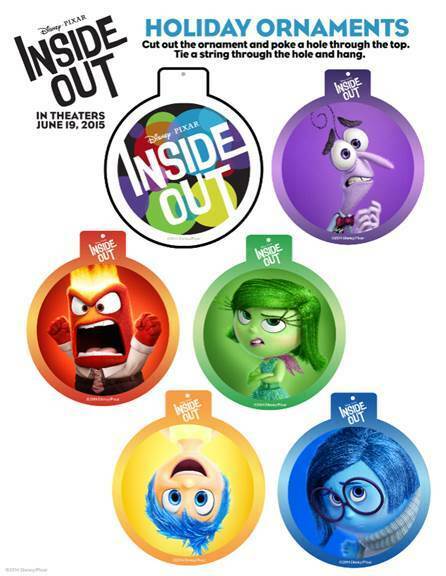 Print out these Inside Out Holiday Ornaments for your kids to cut out and put on your Christmas tree! 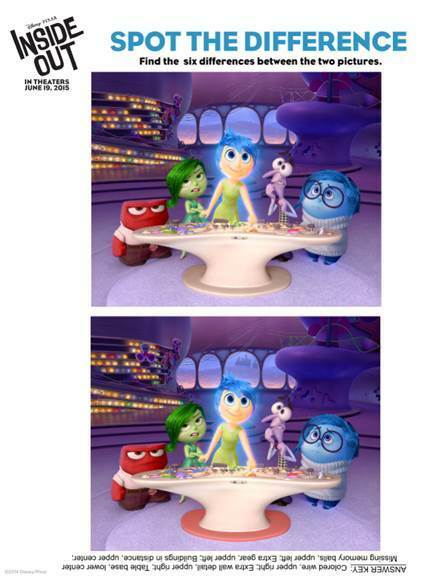 You can also print out these Inside Out Spot the Difference sheets and let your kids see if they can figure out the differences between the two pictures!